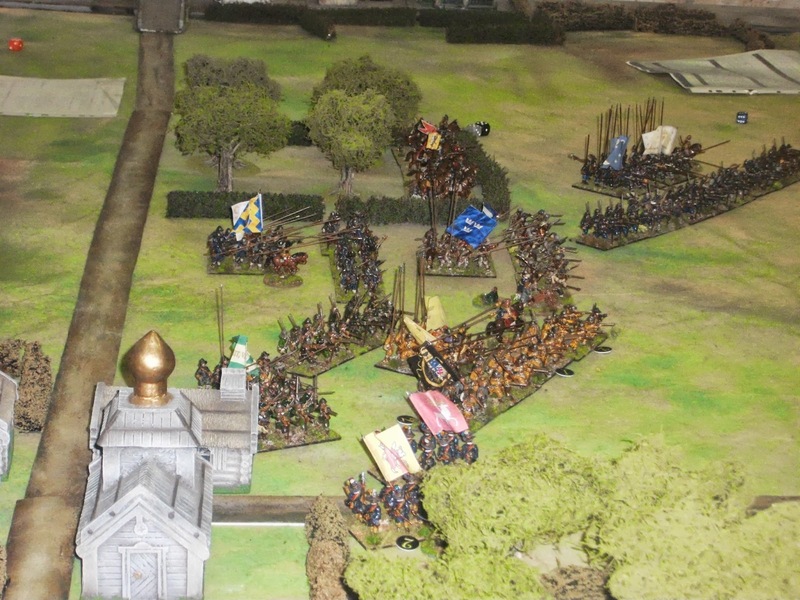 There was a temporary lull in the SYW campaign at the Club so I had been asked/offered to put on a TYW game. Slightly weary from the battle in the afternoon I took my hastily repacked Swedes and my Poles down to Durham and set up a multi-player game, again using Pike and Shotte. This was likely to be a slight (?) 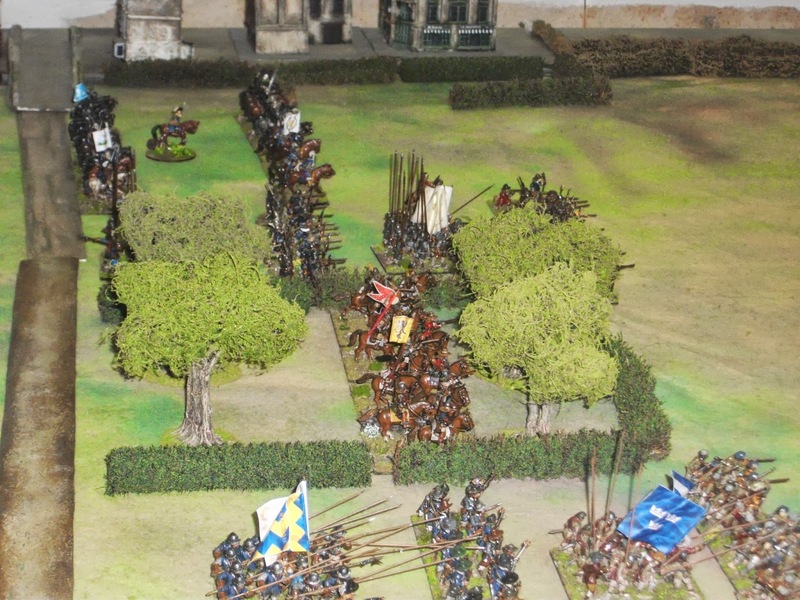 challenge as while there are a number of 'fans' of the Black Powder concept, few had played Pike and Shotte. 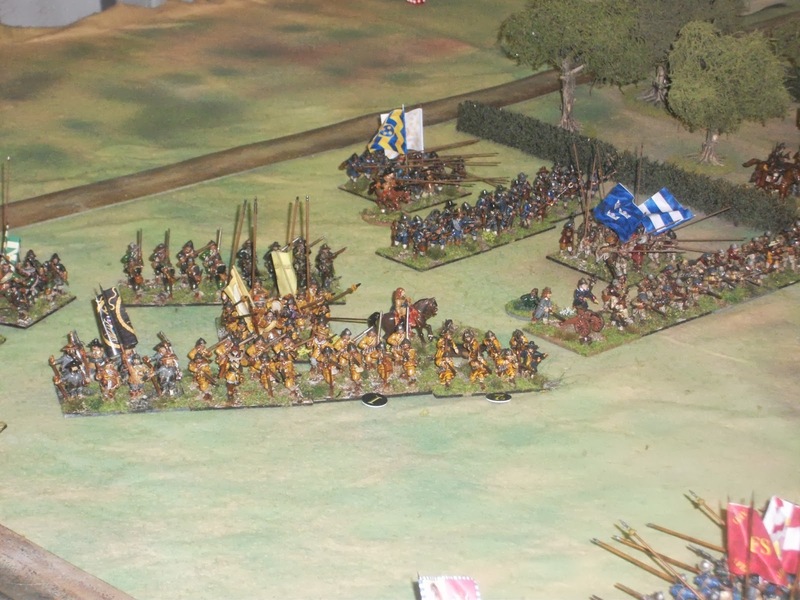 The basic scenario was that we were in the late 1620's and the Swedes were blockading one of the routes into Danzig/Gdansk (take your pick). 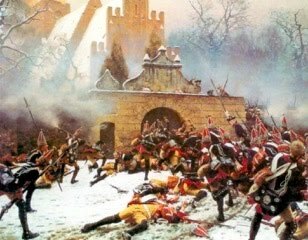 The Polish army had to drive them off. Fairly simple for what was almost everyone's first game. Yet again it was an incredibly hot and muggy evening so we started as soon as there were enough players. Paul Stephenson and Conrad Cairns took the Poles, the latter with great enthusiasm, to be joined later by Shaun and Jim. Dave Jarvis, Bob and Matt took the Swedes and I decided to umpire/adjudicate. 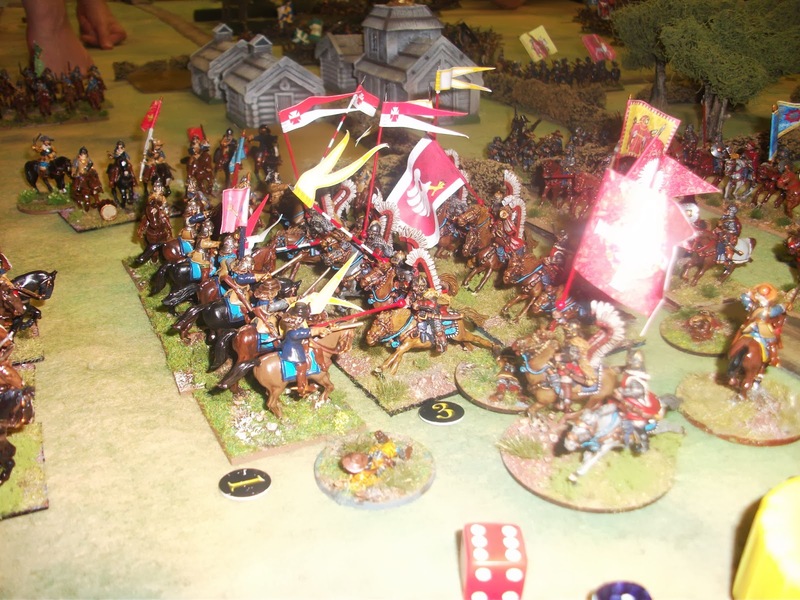 The Polish plan seemed quite straightforward; pell mell cavalry charge with hussars and pancerni on their left to drive off the Swedish horse and roll up the line, while the infantry and lighter cavalry held the centre and right. I'm not sure what the Swedish plan was but they probably had one. 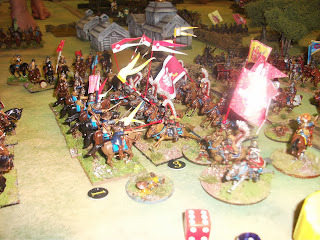 Well, the Polish attack on the left took quite some time to get going due to some unhelpful dice scores, but eventually the hussars and pancerni crashed into the Swedish and Finish horse. 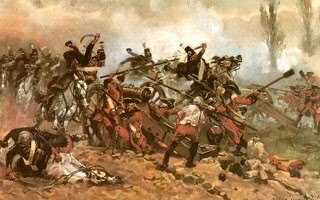 However, the commanded shot intersperced between the horse squadrons and lining a hedgerow on the Polish flank took its toll and managed to cause enough casualties and disorder a couple of units, therefore blunting the attack. 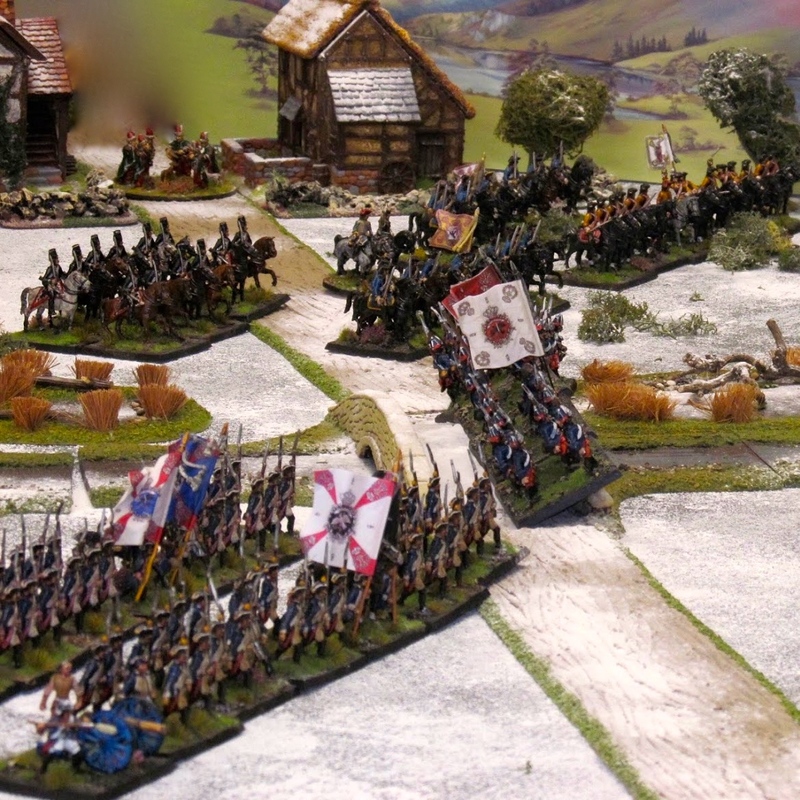 The Swedes had pulled back one of their mounted brigades to provide some defence in depth, and this proved to be a wise move as their front line was crushed by the hussars who then thundered into the second line. 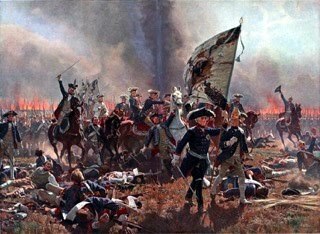 A massive cavalry battle carried on all evening, with the Swedes slowly giving ground, although, despite being very tough, especially the hussars, the Poles didn't have it all their own way due to the fire from the commanded shot on their flank who managed to keep a number of units either disordered or shaken and therefore unable to exploit the gaps in the Swedish line. 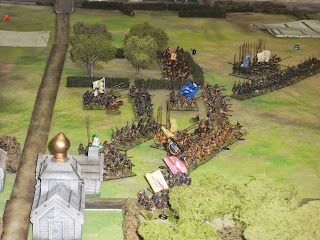 Conrad also threw double 6 for one of his hussar units and they blundered, winning the dubious honour of the dung heap. 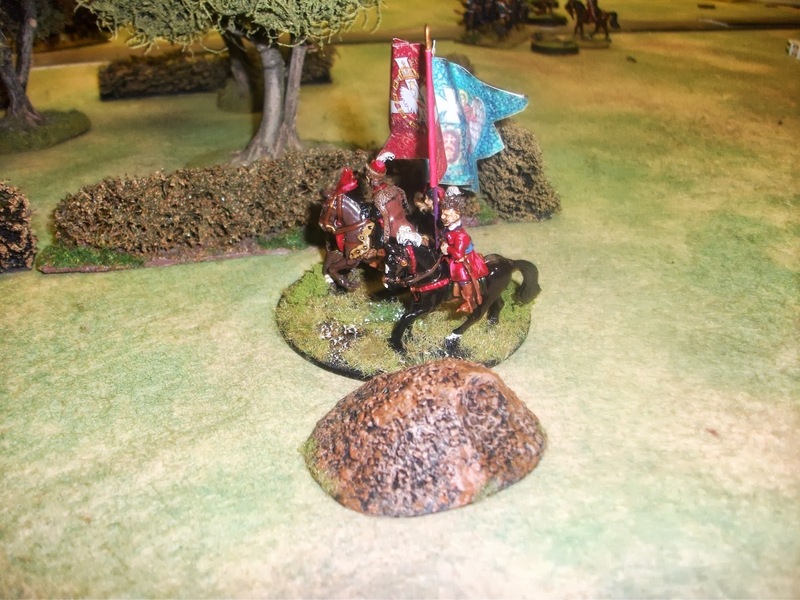 Towards the end of the game, Conrad threw another blunder when trying to use the Polish C in C to move one of his units, so the dung heap was passed on to the Polish king! (see the first photo). 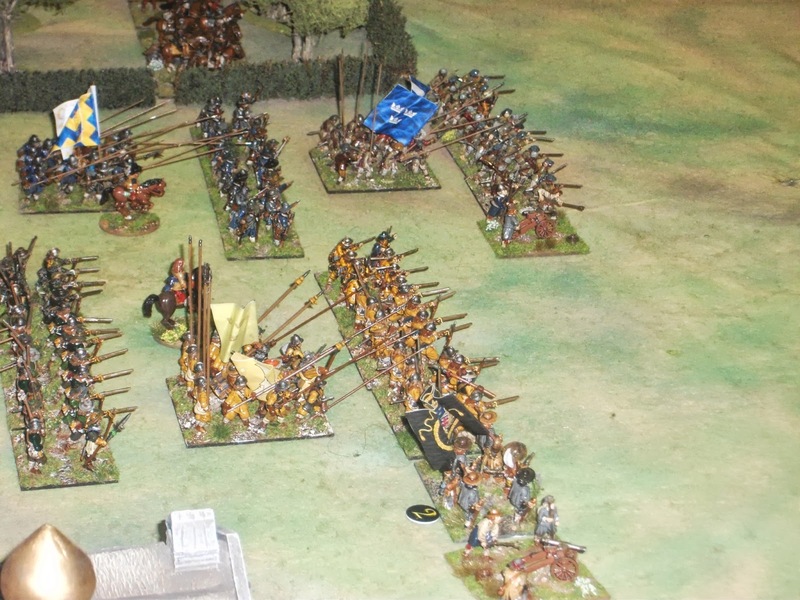 The end of the game saw the Swedes on this flank grimly hanging on, with one brigade of horse smashed and the other being beaten back bit by bit. Meanwhile on the Swedish left I have to admit I don't really know what was going on. 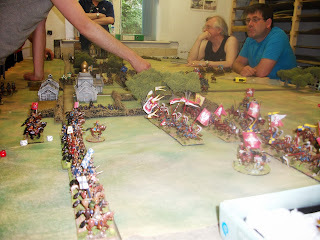 Bob made slow progress but did eventually swing round and engage the German mercenary foot on the Polish right and forced their light cavalry to retire. 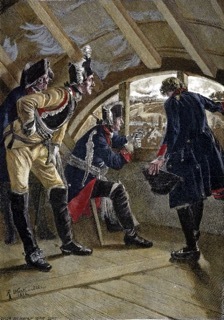 The German 'yellow' regiment was all but destroyed by the end of the game. 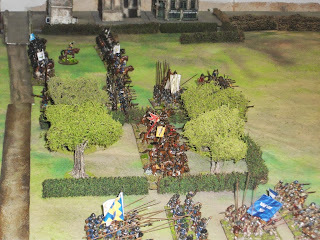 In the centre Dave and Paul entered into a ferocious firefight with the German mercenary 'blue' regiment and the Krackow militia. The latter managed to hold up the veteran Swedish 'Yellow' regiment for most of the game by throwing an impressive number of 6's. 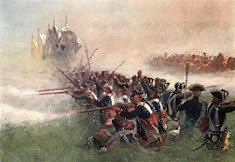 There was a brief melee between the militia and a Swedish gun and elements of the 'Green' regiment in which the Poles came off worse. I hope eveyone enjoyed the game. 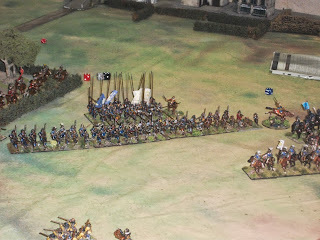 I know the rules take a little getting used to conceptually, which is often hard for some gamers to grasp, but from my point of view the whole purpose of the game, any game, is to have an enjoyable time trying moving little men aruond the table in what may or not be a reasonably accurate historical representation. Thanks for the positive comments about the figures too. Feedback welcome. Lovely figures. It looks like an exciting game. I love Black Powder and Hail Caesar but I haven't tried Pike and Shotte but it looks good from this. Colin. Regrets i missed the game at the club and off on me hols shortly so will be away next 2 but in after that and well up for a run out Swede bashing or Pole biffing (or dancers ;]) if your around that week. Ever tried Maurice rules for the 7YW stuff ?